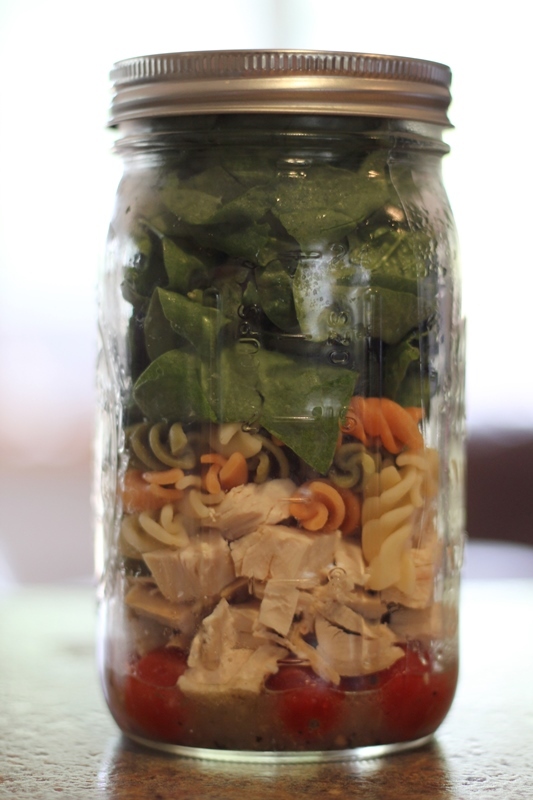 For the first 3.5 months of this year, I ate a mason jar salad near every day of the week. I think I missed 1-2 work lunches because of conferences, and on weekends it was hit or miss depending upon commitments with friends, but I’d honestly estimate that I ate a mason jar salad for 68 of my 70 weekday lunches during that time frame, and after a short break where I only ate them 2-3x each week, I’m back at it full time! Do you know what kept me coming back? They’re delicious – and nutritious! They save time. I’d prep them on Sundays and eat them Monday-Friday every day for lunch. They easily stay fresh for 5-7 days if you assemble them correctly. When I started the 21 Day Fix program on April 12th, I was a little overwhelmed planning out my meals for the entire week, and I drifted away from my mason jar salads that first week. I quickly realized how much I’ve come to rely on having a quick & healthy meal to grab and eat over my lunch break either before or after I put the kids down for their naps (the nanny runs her errands while I’m home for lunch). I found this website to be a super helpful overview of the program and food choices. The book has different foods in different categories than you might think, so I really urge you to sign up for the program if you want to make sure where different foods fit into the categories. For example, tomato sauce can be a purple or a green depending on the ingredients & sugar content, and you’re supposed to be avoiding all added sugars whenever possible, so they have lists of “approved” foods that are better options than others. At any rate, below are a few of my go-to salads! I usually make up this salad when I already have some pasta on hand that I’ve cooked up for the kids. I try to use whole wheat noodles if I have them on hand! This is my go-to salad lately. SUPER easy to assemble, and always delicious. I’ll either use rotisserie chicken or have Charlie grill up some chicken breasts on Sunday for me to dice up and use. I actually like this salad best with steak (if we have steak for dinner there’s always leftover, so I’ll dice it up for my salad the next day). I ate it today with ground beef/turkey though, and it was definitely delicious! I’ve eaten this one a few times, but somehow I always forget to take a picture of it. It doesn’t mean it’s not delicious though! 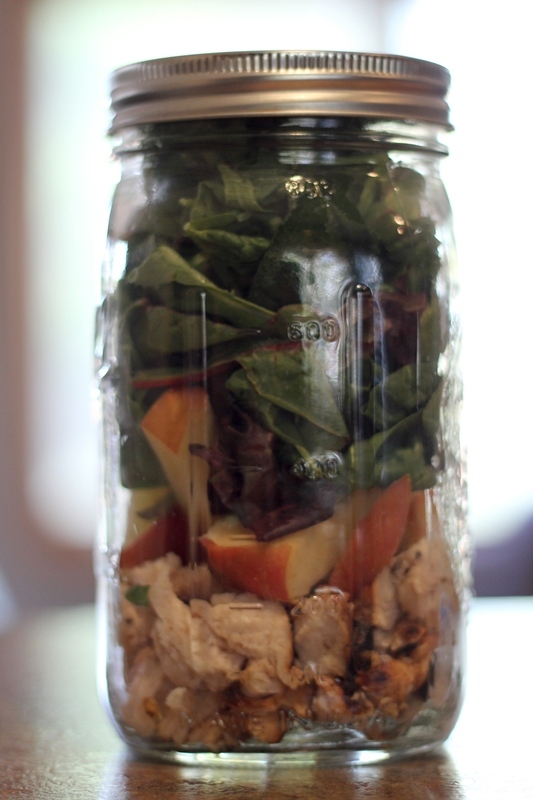 Do you guys have any favorite mason jar salads to recommend? 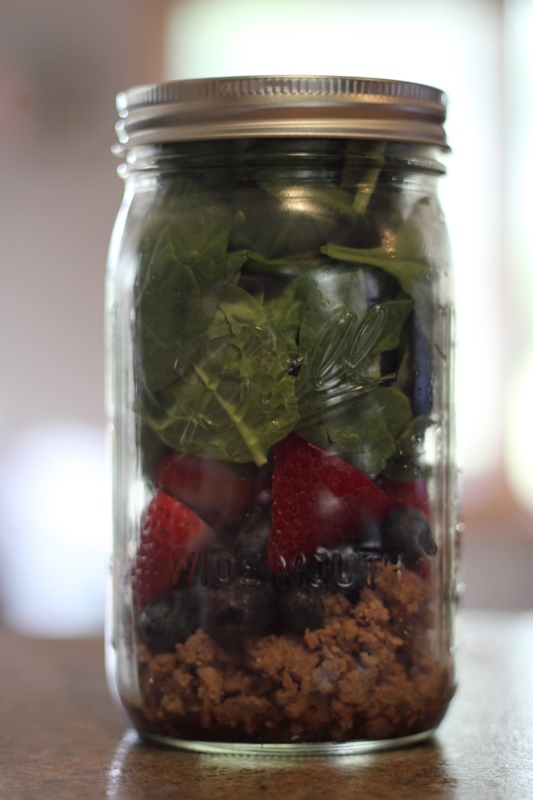 Or do you have favorite ingredients you’d like me to try out in a mason jar configuration? I’m so in love with them! Oooooh, thanks for posting this! I was just thinking about doing the 21-day Fix plan again in preparation for my upcoming (swimsuit) vacation, but like you said, fast/easy is crucial. My brain power has been kind of low lately so this is great that I can just “steal” all the work you did 🙂 Ha!